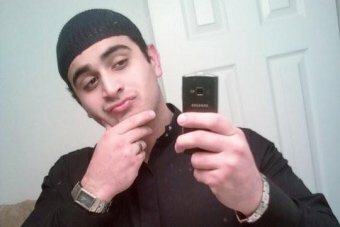 Although the gunman who massacred 49 people at an Orlando gay club is said to have been 'repulsed' by homosexuality, he nonetheless left behind a slew of self-adoring 'selfies'; a handsome man gazing enchantedly at his own face. It is therefore acceptable for him to lovingly admire his own maleness, but it is not OK for other men to like other men. Does Islamic scripture say it is fitting for a man to sit alone taking adoring photographs of himself? I doubt it. Meanwhile, Donald Thump, probably America's next President, reacts to the Orlando massacre by explaining how, if the people within the club were themselves armed with guns, then there would have been fewer casualties. This, of course, is his way of avoiding any words of support to the Orlando gay community (it is their own fault for going into a nightclub without hand grenades). Donald Thump would therefore probably claim that the massacred children of Sandy Hook would still be alive today if only they'd had the common sense to carry sawn-off shotguns to school. The Thump response to Orlando is therefore anti-gay and pro-gun possession. Ann Coulter will be waving her baseball cap and cheering. It's all going so well for America! One of her less bobbins missives. It would be churlish to point out that the sleeves to Morrissey's solo records have been a succession of 'self-adoring selfies'.